INDIANAPOLIS, IN, JULY 1, 2013 – Auralex® Acoustics, Inc., the world’s leading brand of acoustical treatments and currently celebrating its 35th anniversary, offers an extension to its sound absorption product offerings with ProBanners™ and ProBaffles™. 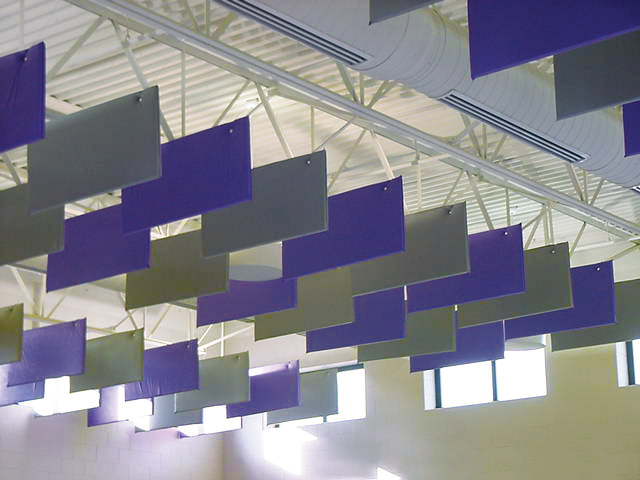 Auralex ProBanners are 2" or 4" thick, custom-produced absorbers that provide an economical way to acoustically treat the ceiling in a large room. 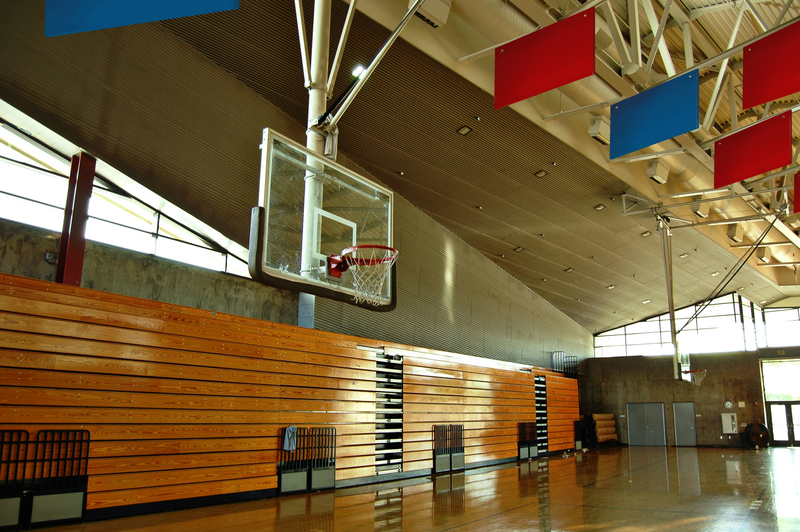 Great for reducing reverberation and reflections in gymnasiums, arenas, pools, sanctuaries, restaurants, nightclubs and animal-care facilities, these absorption panels are hung horizontally across the ceiling. ProBanners are available in PVC covering in a variety of colors. 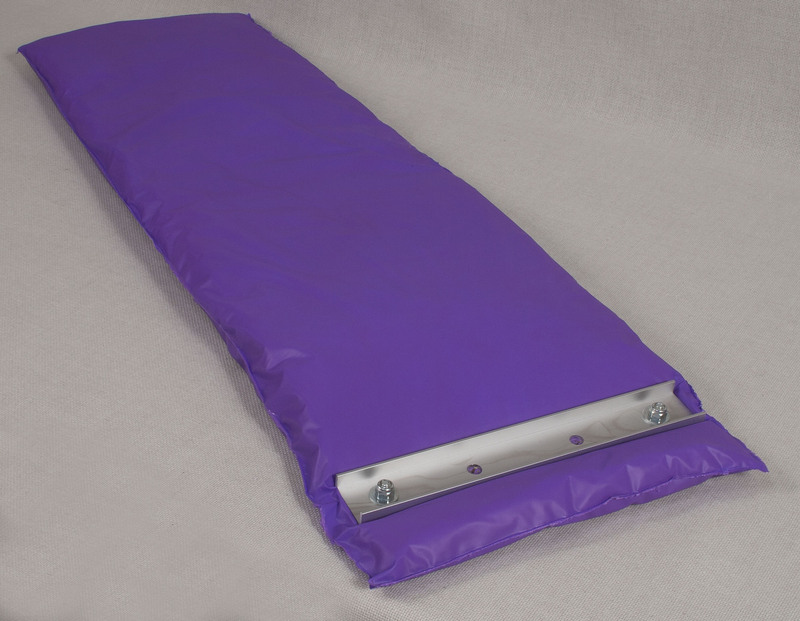 ProBanners hold up in harsh environments and install quickly and easily with the supplied hardware, simplifying the installation process and saving time in the field. Perfect for commercial facilities, ProBanners have a fiberglass core and are Class A fire rated per the ASTM E-84 test protocol and are available in sizes from 2' x 4' to 4' x 40'. Auralex Application Specialists and Engineers can assist contractors and system integrators in finding the optimum custom ProBanner or ProBaffle solution for each job. PVC fabric color options include black, beige, grey, white, red, yellow, blue, green and burgundy.